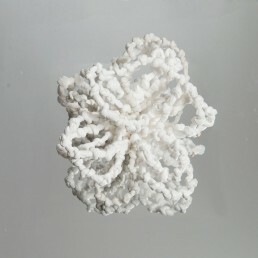 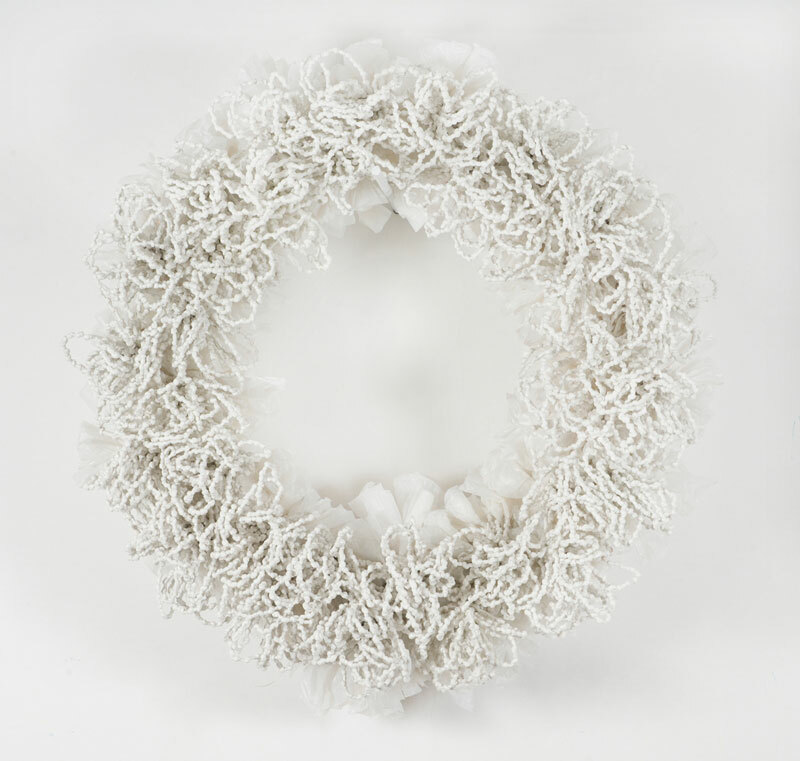 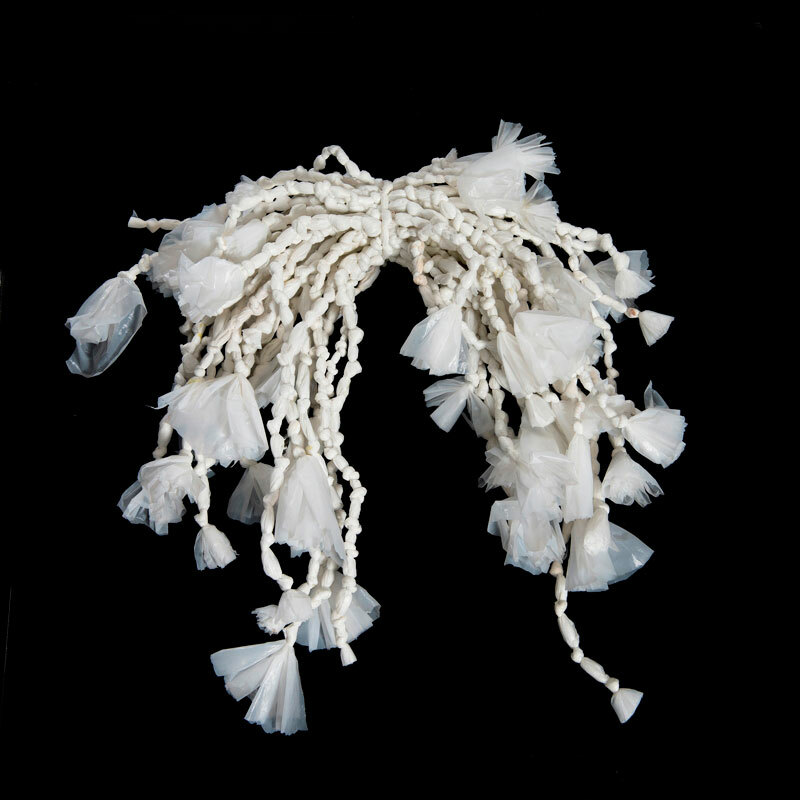 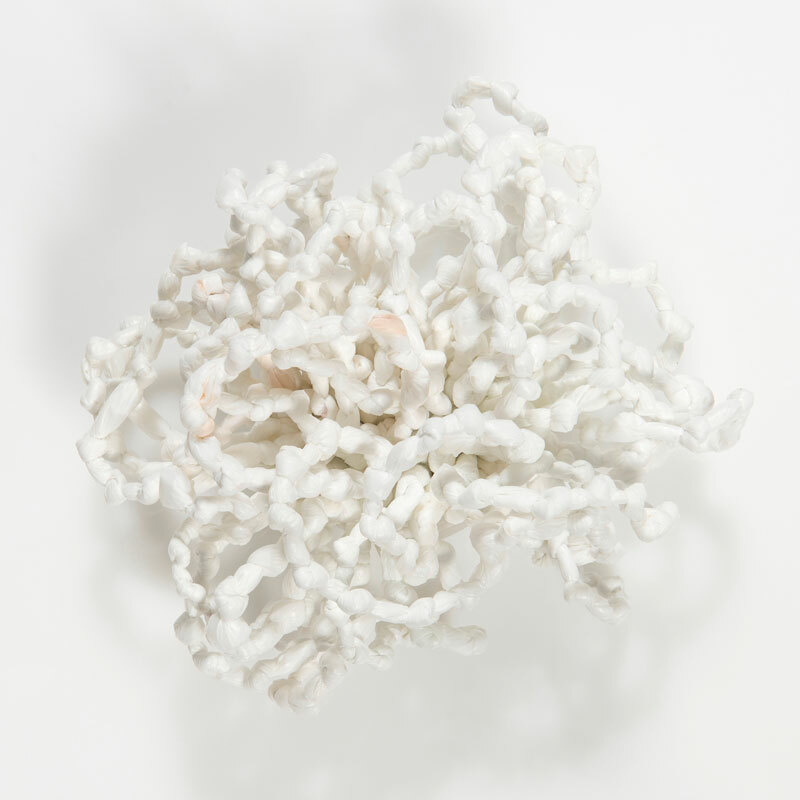 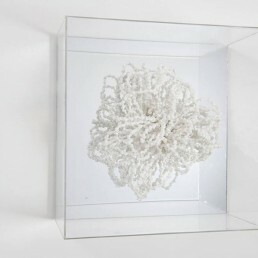 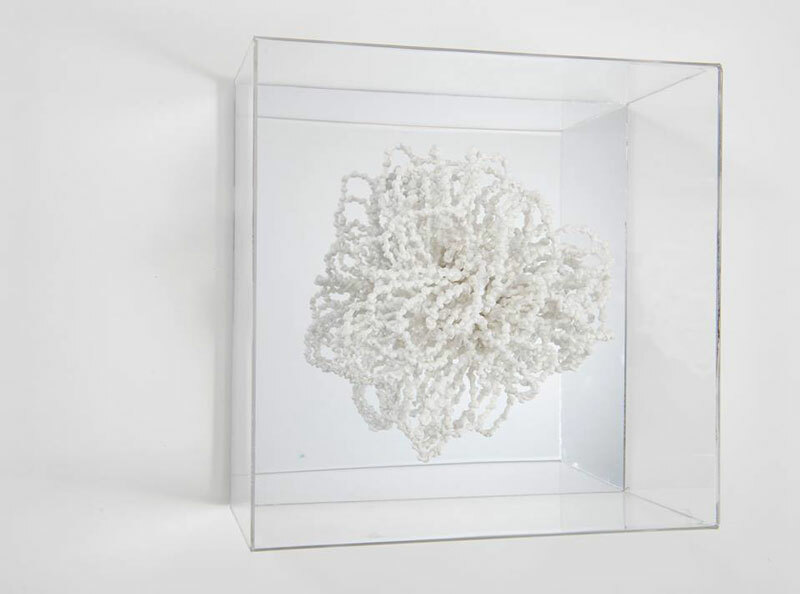 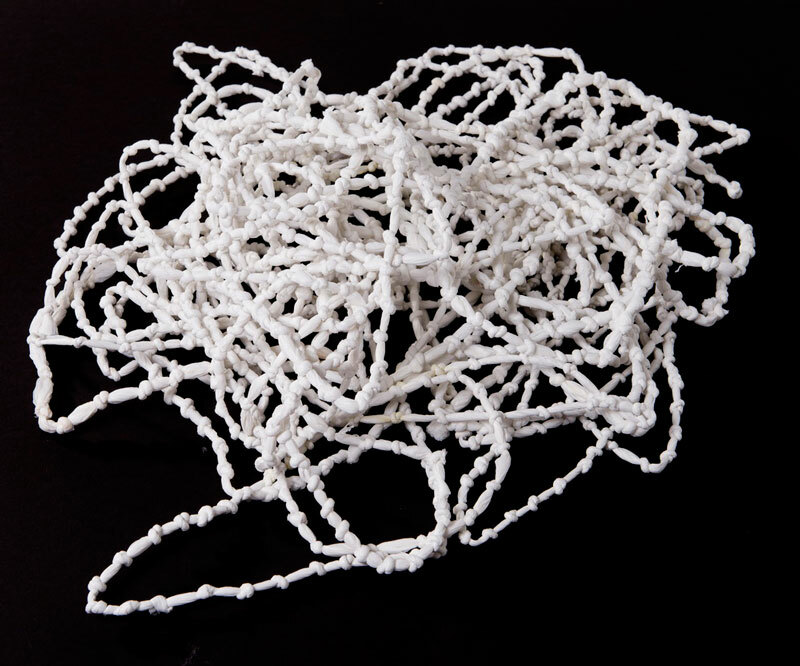 These works are made from “readymades” – hair salon aprons of simple white plastic, which I collected after they were used but before being thrown away. 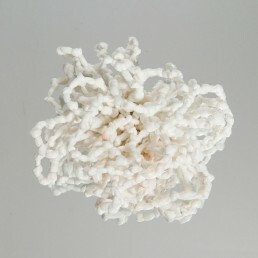 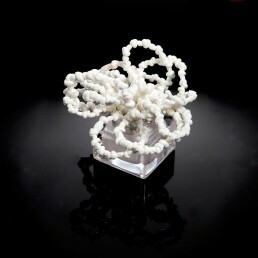 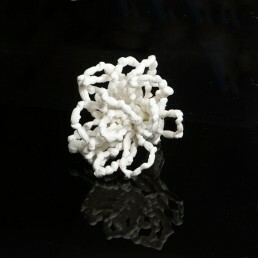 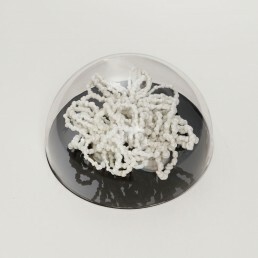 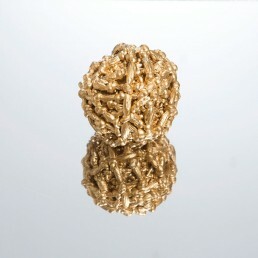 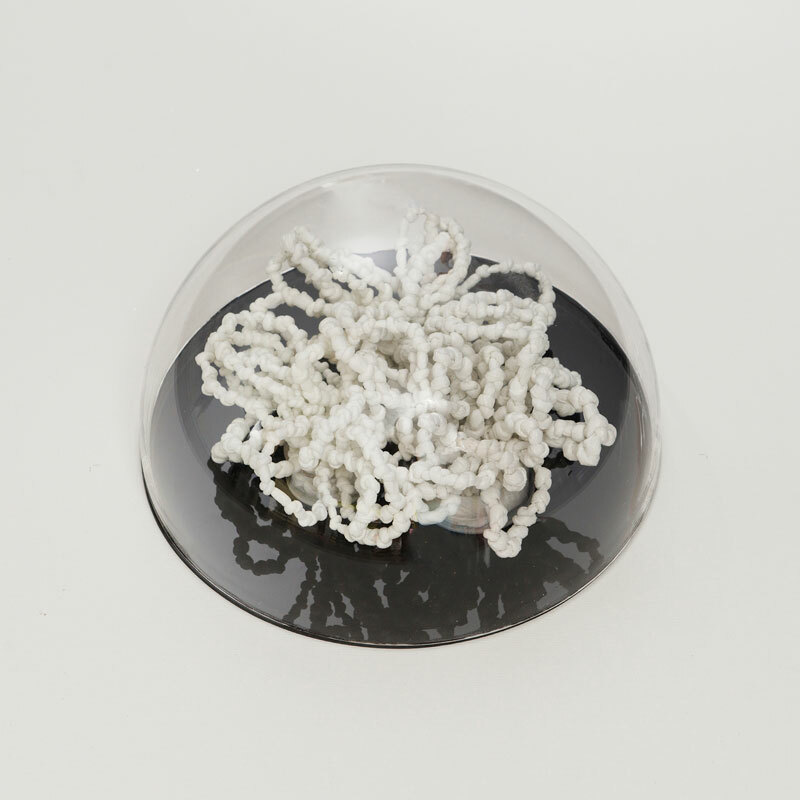 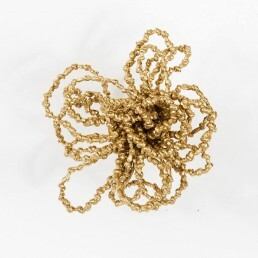 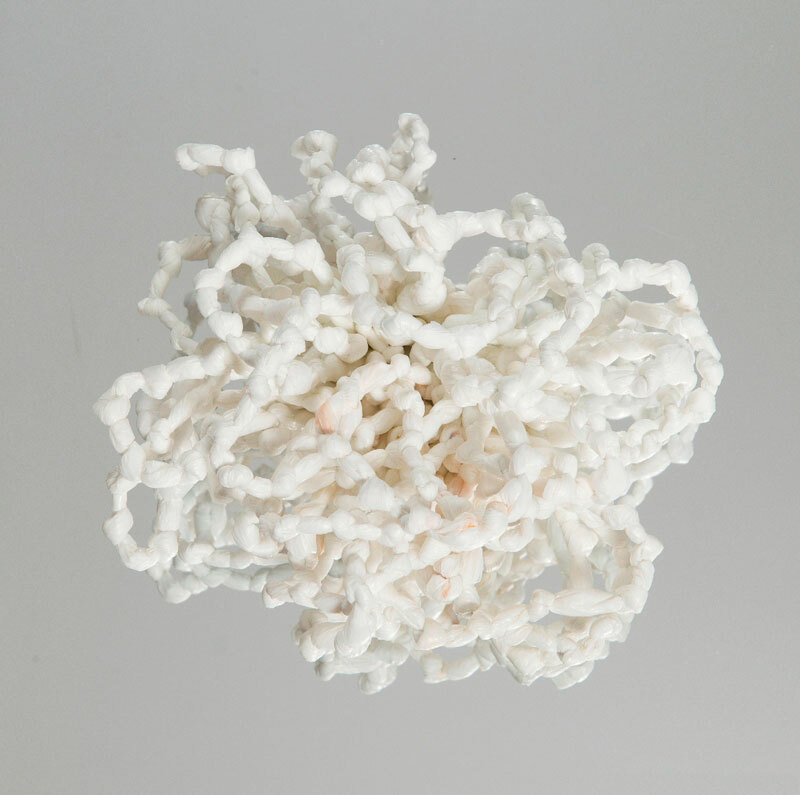 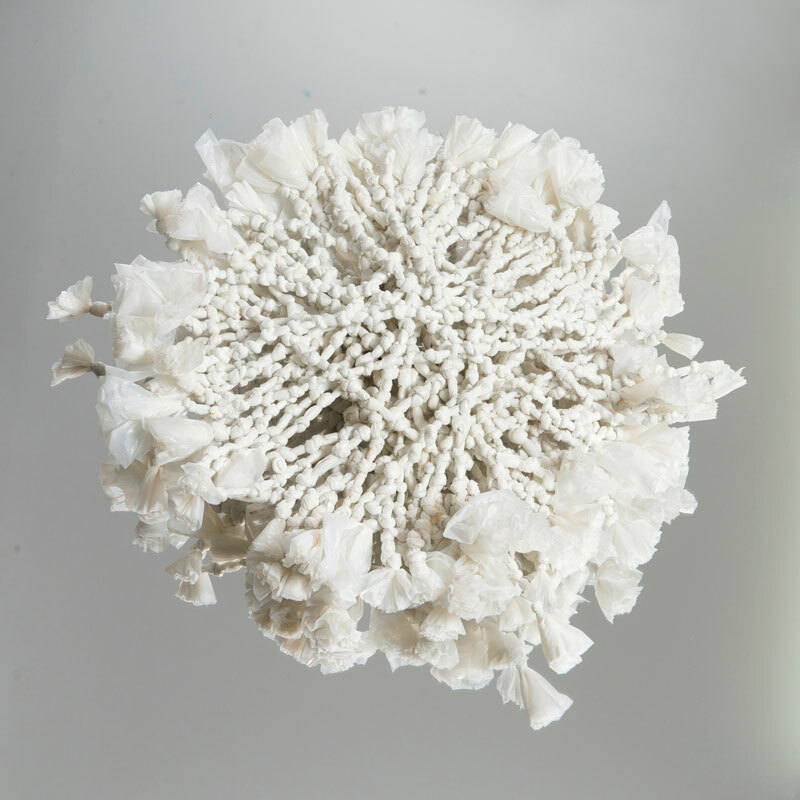 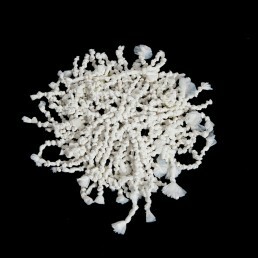 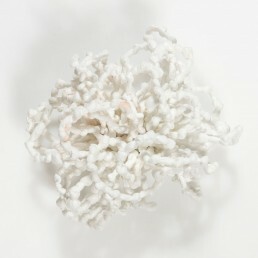 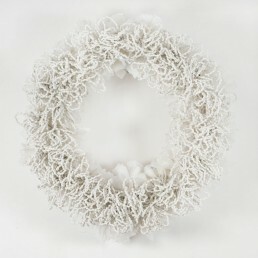 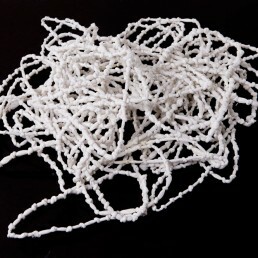 They were knotted to create objects similar to blossoms, hair, balls, or other items. 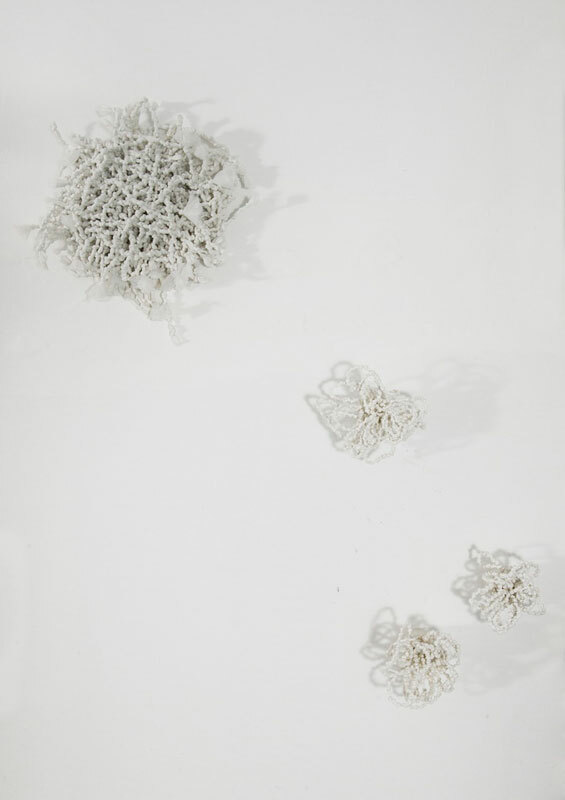 Some of the objects are freestanding, while others are hung in the exhibition space like reliefs. 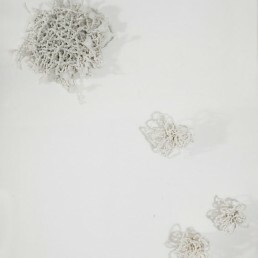 The artist is engaged in research on various themes, such as the maternal and umbilical ties, friendship, and mutual responsibility.